After two years as a paratrooper in the United States Army and after World War II and two years studying at the University of Michigan, by the summer of 1948 I was ready for some adventure. I was in good shape, so I decided to return to Europe and bicycle to the placed where I had served during the war. Alternating between trains and a bike, I bought in England, I spent about eight weeks touring, finishing up the last ten or twelve days in Switzerland, France, Belgium and Holland, where I boarded a freighter for the trip home. On board, I shared a cabin on the afterdeck with nine other men. About the third day at sea, I was lying on my bunk reading when I began experiencing double vision that would not go away. Later - I believe the same day - I found, when I went to the lavatory, that I lost all the strength in my abdominal muscles. As my condition to decline, I was moved to the ship’s infirmary cabin. Although the ship carried no doctor, the ship’s captain was supposedly also a pharmacist’s mate, so he took over my care, claiming that I was just seasick and undernourished. His treatment was to insist that I drink a shot of cognac in a full glass of milk of magnesia several times a day, even though the mixture came out of my nose as fast as I drank it. This should have indicated to him that more was involved. Needless to say, having no bowel function, I ate very little for the rest of the voyage. However, I was still able to walk. On the ship’s arrival in New York, I made it down the gangplank, but, at the bottom, my knees almost gave out. Realizing I needed help, I hailed a taxi to take me to a relative’s home on Long Island. The family had three small children, so the family’s pediatrician was called upon to make a house call to examine me. His diagnosis? The same as the captain’s —seasickness and malnutrition! The following morning, both of my legs gave out completely. My father immediately came from Detroit to get me and carried me on his back through Grand Central Station to reach our train. As soon as we arrived home, our family doctor was summoned. It took him only minutes to determine that I had polio - - both bulbar and spinal. When asked by my folks, he said that my chances were 50/50. I was transferred to the infectious diseases pavilion at Herman Kiefer Hospital, where I spent the next four months. There, I shared a room with two other slightly older men on a whole floor of polio cases. 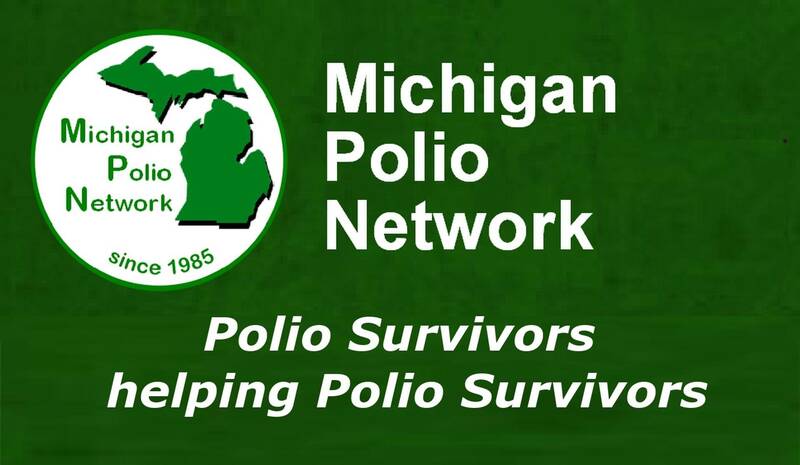 We were told that the ratio of adult (sixteen years and older) polio cases to juvenile cases was unusually high that year - - one in every three cases was an adult. Our treatment was the Sister Kenny protocol - - heavy wool blankets soaked in almost boiling water, then laid across our backs, buttocks, and legs and covered with rubber sheets to retain the heat. It was extremely painful but, we were told, it would relax the polio-tightened muscles. How successful that was, I don’t know. As I recall, we were given some exercise, but not much. I do know that I was reprimanded by a staff member for pulling myself across the ends of three beds in our room to get to our bathroom. It was probably another week or so before my vision returned to normal and my legs began to recover some strength. By the time I was discharged several months later, I was walking with those half-crutch things we called “sticks”, which I used for less than a year. I was outfitted with a spring brace attached to my left shoe to compensate for a weak leg and drop foot. This device broke periodically from metal fatigue and had to be replaced, so eventually I gave up and began taping my ankle each morning with an Ace bandage. This worked well during the day, but I was in agony by the time I removed the tape in the evening. I continued this routine for many years until a friend tole me about a new brace made of PVC that had become available. I have now worn such a device for over twenty years, and how I wish that it had been available years earlier! Although I still have a weak left leg, a drop foot, one paralyzed vocal cord, and only 62% lung capacity, I have lived a full life and not let my disabilities hold me back. One of my hospital roommates told me to “never even think of trying to ski”, yet I later met my wife-to-be on a ski trip. Now in my nineties, I have traveled over much of the world, have been swimming with sting rays in the Pacific, have gone helmet-diving in the Atlantic, and have even climbed the Great Pyramid in Egypt. I have tried to maintain a positive attitude and determination in spite of the disabilities left by my polio experience and I think that I have done pretty well.